Most people in this world believe there are angels or spirits that come from heaven or the heavenly realms and engage in activities on and around earth. In English we call them angels (from the Greek ‘angelos’). In Hebrew they are called malakh, מַלְאָךְ‎‎ or malakhim; in Arabic and Islam they are called Malaika; in Chinese – 天使 Tiānshǐ; and in Hindu – Svargadooton, स्वर्गदूतों. The purpose of this writing is to examine the real angels revealed to us by the God of Abraham. Jews, Muslims and Christians all believe in angels and the God of Abraham; however, Islam and certain Christian denominations and/or cults add beyond what has been taught by the prophets and apostles of the God. This article will be divided into the following sections: Belief in Angels; Terms and Definitions; The Nature of Angels; Where they inhabit and their Quantity; Some unconfirmed Spirits; and Types of Angels. According to a May 2016 Gallup poll, 72% of Americans say they ‘believe in Angels;’ 12% are ‘not sure about’ them, and 16% ‘don’t believe in’ them. When asked specifically about the fallen angel, the Devil, 61% stated they ‘believe in’ him and 27% ‘don’t.’ This shows both knowledge and belief in the subject varies. In a 2004 Gallup Poll, they found that little more than half of the Brits believed in God; and 36% answered they did ‘believe’ in angels, and 46% did ‘not believe’ in Great Britain. Only 29% of those surveyed in the United Kingdom believed the devil. In 2012, a Pew Research Center study involved more than 38,000 ‘face-to-face interviews in over 80 languages’ and 39 countries and found that 69% of Muslims say religion is very important to them; and that 96% to 98% of the Muslims in the Middle East, North Africa and South or Southeast Asia believed in angels; 83% in Central Asia did believe; as did 72% in Sub-Saharan Africa and only 55% in Eastern Europe. Strong’s Concordance defines the Hebrew word Mal’ak as “to depatch as a deputy; messenger, of God, i.e. an angel (also a prophet, priest or teacher) – ambassador; angel, king, messenger.” The root of this Hebrew term means ‘one who is sent.’ And the Greek word aggelos as “…messenger: esp. an ‘angel’.” Nave’s Topical Bible calls an angel a ‘celestial spirit,’ and notes other biblical references to them: “Morning Stars (Job 38:7); Hosts (Gen. 2:1…; Luke 2:13); Principalities, Powers (Eph. 3:10).” McClintock and Strong’s Cyclopedia… reminds us they are called ‘holy ones;’ but note that is also translated as ‘saints’ and is used for both men and angels – thus, the context must be taken into consideration (same for ‘the elect’). Angels are mentioned in over half the books of the Bible; at least 34 of the 66 in the King James Version. Some say the term is mentioned nearly 200 times; but if you add the other names and titles they are given; that number increases to about 300; and hundreds of verses speak of them and their works. Daniel called them ‘watchers and holy ones (Dan. 4:13). 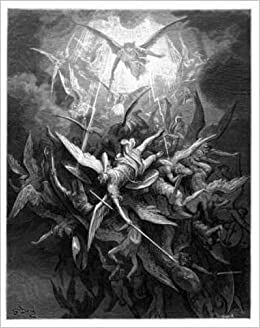 Demons (fallen angels) are described as spirits (Matt. 8:16; 12:45; Luke 7:21; Acts 19:12; Rev. 16:14). We are told that our ‘struggle is not against flesh and blood, but against the principalities, against the powers, against the rulers of this present darkness, against the spiritual hosts of wickedness in heavenly places (Eph. 6:12).’ Paul also says that heavenly forces are invisible to us (Col. 1:16). FREE WILL: Speaking of their Lateran Council IV (1215), The Catechism of the Catholic Church (CCC; 391) adds, “The Church teaches that Satan was at first a good angel, made by God: ‘The devil and the other demons were indeed created naturally good by God, but they became evil by their own doing’.” Then quoting from 8th century Bishop John Damascene, the CCC says, “This ‘fall’ consists in the free choice of these created spirits, who radically and irrevocably rejected God and his reign. We find a reflection of that rebellion in the tempter’s words to our first parents: ‘You will be like God (Gen. 3:5 – ‘knowing good and evil;’ and in spirit – see John 4:24)’. The devil ‘has sinned from the beginning;’ he is ‘a liar and the father of lies (John 8:44; 1 John 3:8)’.” Justin the Martyr (d. 165) wrote, “Because God knew that it would be good. He created both angels and men free to do what is righteous.” And also free to do what is not right (Gen. 4:7). CAN HEAL and Purify: Isaiah 6:6. Also, in Christianity, Judaism and Islam many see the Archangel Raphael is the chief healer among angels. HAVE GREAT POWER: ONE (1) “the Angel of the Lord went out and put to death 185,000 Assyrians (2 Kings 19:35; Isaiah 37:36).” And ‘the angel of the Lord’ put to death 70,000 in Israel with a plague (2 Sam. 24:15). And “Michael, one of the chief princes or Archangels’ stood or stands against fallen archangels/demons such as the ‘prince of Persia (Dan. 10:13). 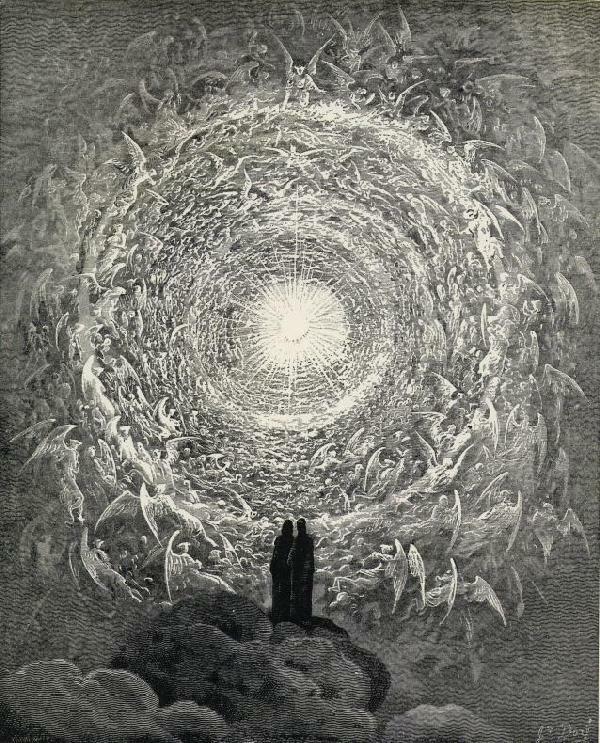 REALM/Abode: There was an original place or dwelling of the angels. Jude says, “the angels who did not stay within their positions of authority, but abandoned their proper dwelling; God has kept them bound with eternal bonds under darkness until the judgment of the Great Day (Jude 1:6).” Peter says of these, they are in a certain part of “hell… in chains of darkness to be held for judgment (2 Pet. 2:4). Paul in Ephesians (6:12) states concerning ‘fallen angels;’ that these “rulers… authorities… powers of this dark world and …spiritual forces of evil in the heavenly realms” are in various places on and around Earth and in various parts of the Universe. Lockyer explains that the Judaica (Encyclopedia Judaica; 1971) list seven (7) heavens: Velim – the curtain of night and day (Isa. 40:22); Expanse… (Gen 1:17); Aether… (Psa. 78:27); Habitation – where Michael stands at the altar (1Kings 8:3); Dwelling Place – where the angels sing (Psa. 42:8); Fixed Residence – the dwelling place (1Kings8:39); and Araboth …souls of the righteous (Psa. 49:17). QUANTITY: Myriads x Myriads and ten thousand x ten thousands (Rev. 5:11; and Dan. 7:10). Thus, somewhere between hundreds of millions and billions (like human populations). God is high and lifted up on His throne (Isa. 6:1; Rev. 4:2-10; Psa. 47:8). Jesus Christ is not an angel; He is the King of kings and Lord of lords and His name is above all creation (Heb. 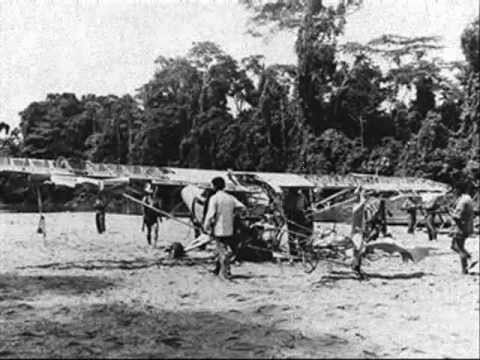 1:4; Rev. 19:16). There is a hierarchy of angels, but TheTruthSource and likely no source but God and the Lord Jesus Christ, truly understands the exact order of angels. Jews and Christians often use differ hierarchies for the angels. Mighty Seraphim (‘burning ones;’ even ‘electricity’): They are in the throne room of God. Isaiah describes them flying with six wings (Isa. 6:1-7). And John described them with six wings and worshipping day and night saying “Holy… is the Lord God Almighty, who was, and is and is to come (Rev. 4:6-; 6:1).” Some say they are flying above the Throne area; while the Cherubim remain beside and around it. Cherubim: More than one guarded the Garden of Eden (Gen. 3:24); and their image on the Ark of the Covenant (Exo. 25:19; Heb. 9:5). 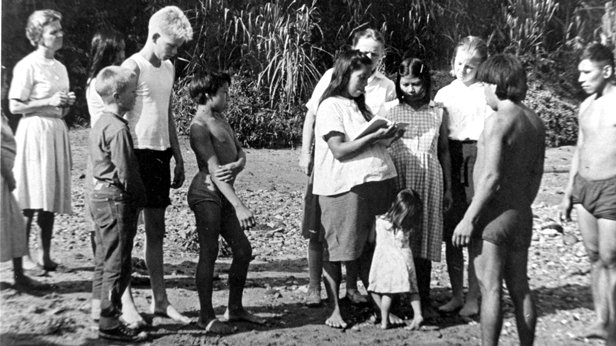 In 1956 five missionaries including Jim Elliott and Nate Saint were killed deep in the South American jungle trying to witness to the Aucas Indians. They had previously agreed not to use their guns. It was a big misunderstanding in a way, caused by Satan and superstitions. One of the missionary showed a picture of an Aucas girl who came to the village they were in and received the gospel. 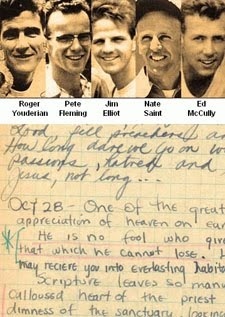 But some of the tribesman, when the missionary put the photo back in his pocket, thought he was taking her soul. Anyway, they speared them to death (see movie: End of the Spear; 2005). But after the missionaries were killed, the tribesmen saw lights instantly appear above the treetops singing and testified years later to this – seeing and hear angels. Three years after their deaths, Elisabeth Elliot and Rachel Saint made contact with the Aucas; and Steve Saint (Nate’s son) still keeps in contact (2017). In other accounts, many missionaries have reported that they have been protected by angels which their aggressors saw in physical great form standing behind the missionary. May the Lord bless you and have His angels watch over you.